Spicy Buttermilk commonly called as मठ्ठा in Marathi is a summer coolant and good for digestion. 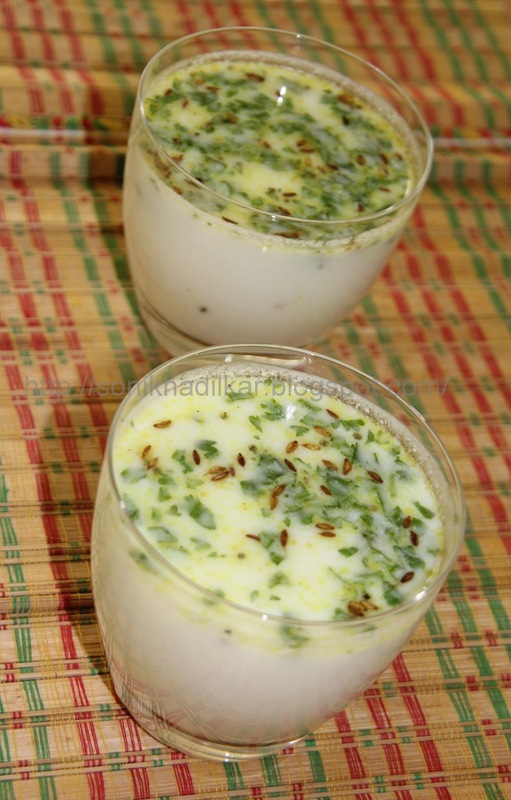 One will commonly see it being served at Maharashtrian weddings or thali as a welcome drink. This was one was the few recipes which I cooked as a small kid. My mum used to supervise my sister and me when we made the seasoning.